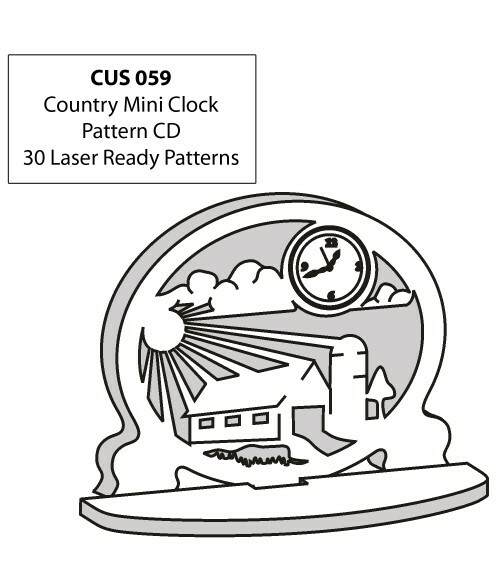 The Country Mini Clock Patterns CD contains a charming collection of 30 laser ready patterns, including the extremely detailed vector patterns needed to complete the projects. The Design Pattern CD's are a great way to create unique items which will expand your product line! This CD is compatible with CorelDRAW X3 and higher.